Victor de Castro Garcia was born in Rio de Janeiro. His mother was a classic dancer and his grandfather fled the war in Europe to Brazil and was a jewelry designer, and his father worked as a dentist. Victor decided to study graphic design and took courses in advertising and design in London. After his internship Victor worked for some years as a designer and stayed for almost 18 years as an Art Director at J. Walter Thompson Advertising. Now he works as a freelance designer and loves making posters for plays in theaters. 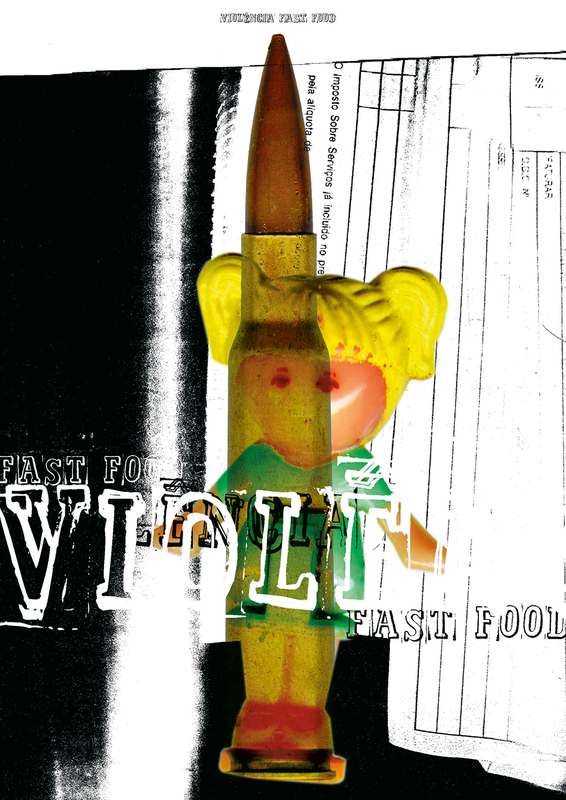 The poster featured for this Poster Monday spot is entitled “Fast Food Violence”. 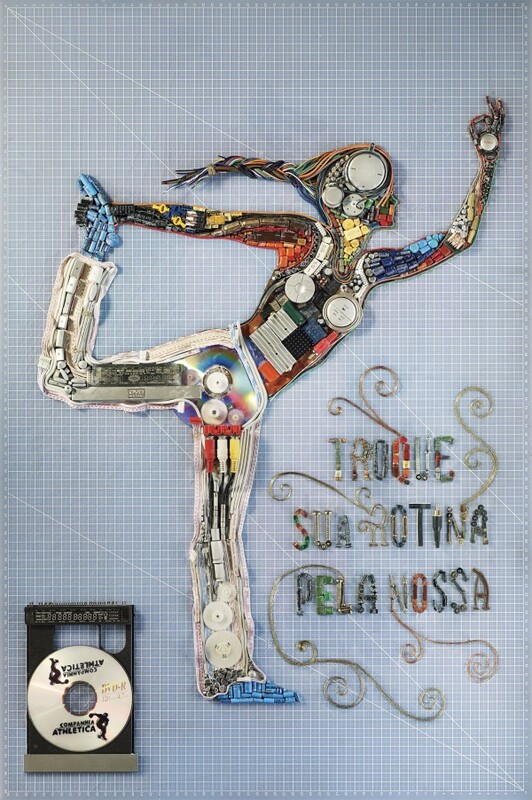 It was created in 1998 and at that time Rio de Janeiro had many cases of children hit by lost bullets fired by drug dealers or by the police themselves in conflicts in the favelas. 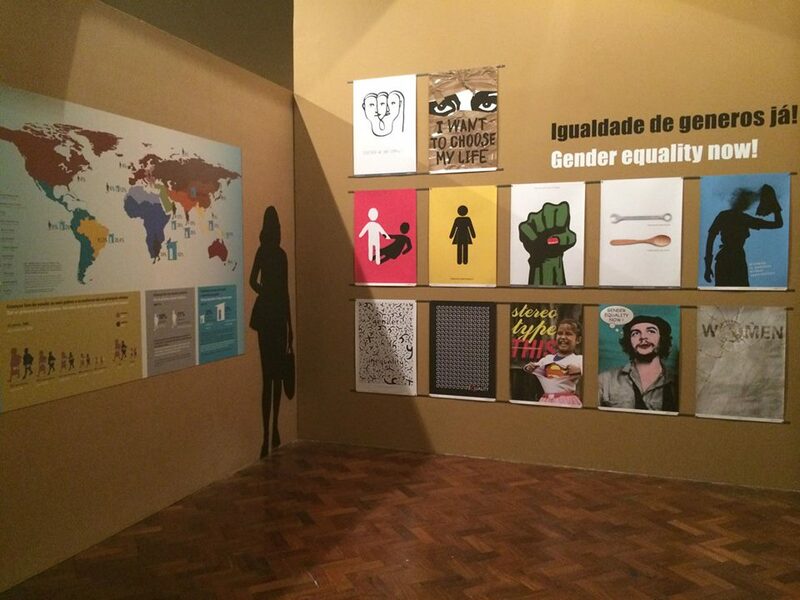 It was a very violent time and the Association of Graphic Design in Brazil has launched a contest for the biennial with the theme being violence. “I then decided to make this poster with only 3 objects found on the street and that quickly represented what was happening: a rifle bullet, a very small doll about 2 centimeters high and a sheet of income taxes. I think this poster still makes us think how much we are hit everyday by different means and ways of violence and that we can never forget that in this pyramid children are the most innocent and most affected.” says Victor. If you want see more projects from Victor de Castro visit his personal website and instagram account. Sergio Liuzzi, is a graphic designer from Brazil. He is the owner of Interface Designers office in Rio de Janeiro, carries out projects in the areas of branding, editorial, packaging, posters for movies and events, and cover books. Sergio is in our Poster Monday spot of the day with the poster “Freud Smoking in a Fountain Pen” for The International Psychoanalytical Association (IPA). Sergio´s posters have been selected for biennials in Europe and are now part of the collection of two museums – Musee de la Publicité at the Palais du Louvre in Paris, France (1996), and the Museum for Decorative Arts in Hamburg, Germany. Sergio was invited to be part of the collection of one of the largest private collections of posters, The Merrill C. Berman Collection, by the collector Merrill C. Berman. “The International Psychoanalytical Association (IPA) is an association including 12,000 psychoanalysts and 70 constituent organizations. 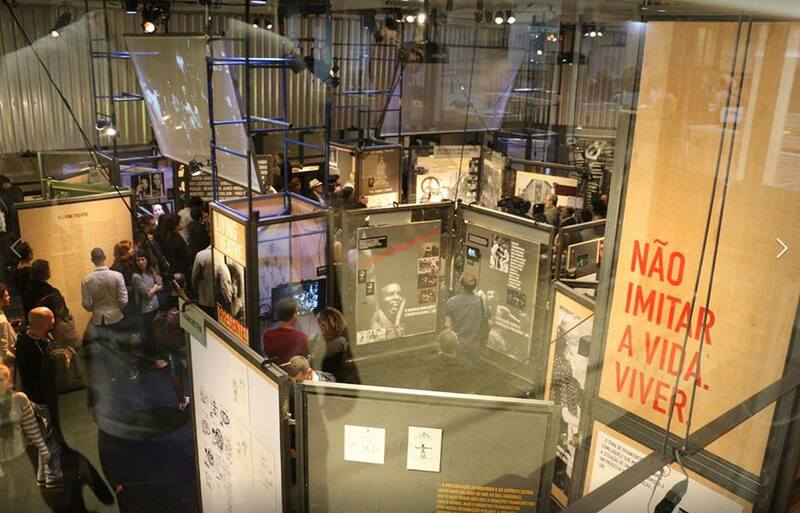 It was founded in 1910 by Sigmund Freud, on an idea proposed by Sándor Ferenczi. 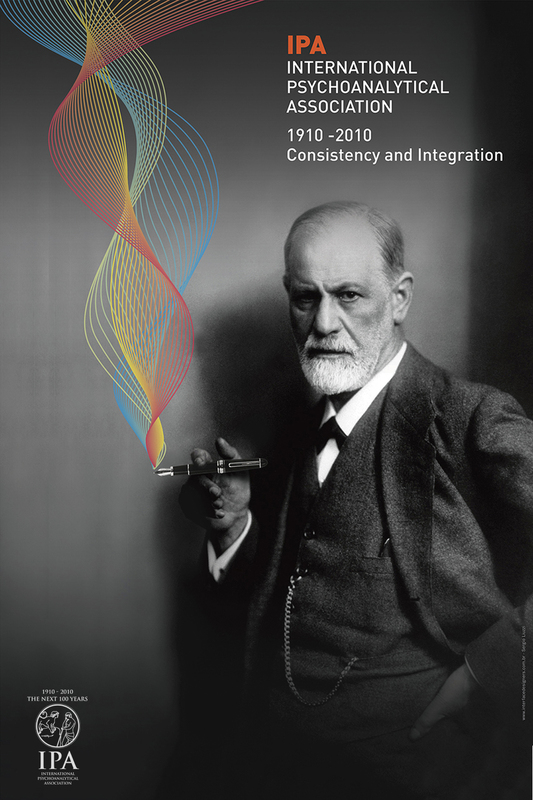 I proposed a solution to the IPA’s 100-year-old commemorative poster, using Freud’s iconic photo, holding a cigar from IPA supplied by his fingers and adding extreme, colorful curves representing the smoke. This geometric graphics in contrast to the photo created a new reading for the resulting image, that is, after 100 years IPA remains active and in constant harmony with its time. But despite the unanimous acceptance of the organizing committee of the event, IPA / USA considered the cigar politically incorrect as it induced smoking. 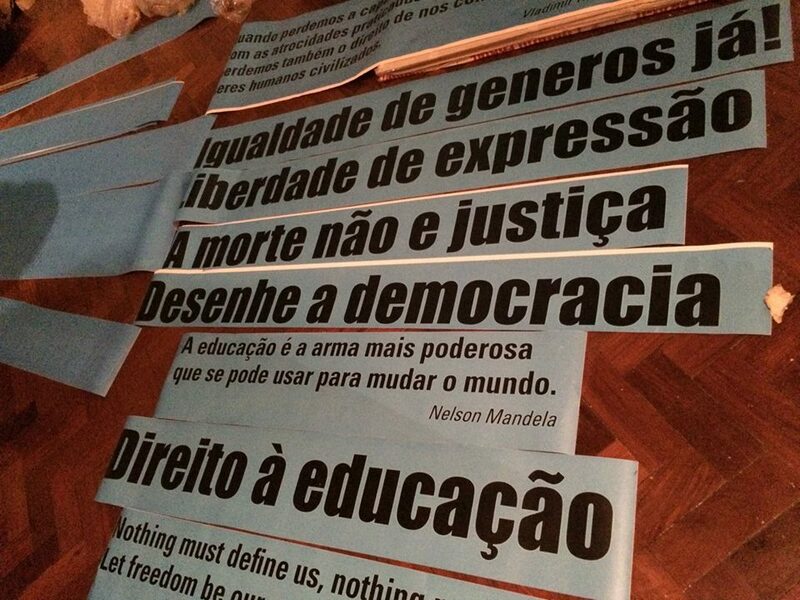 I then replace the cigar with a fountain pen, while maintaining the entire structure of the poster“. says Sergio. 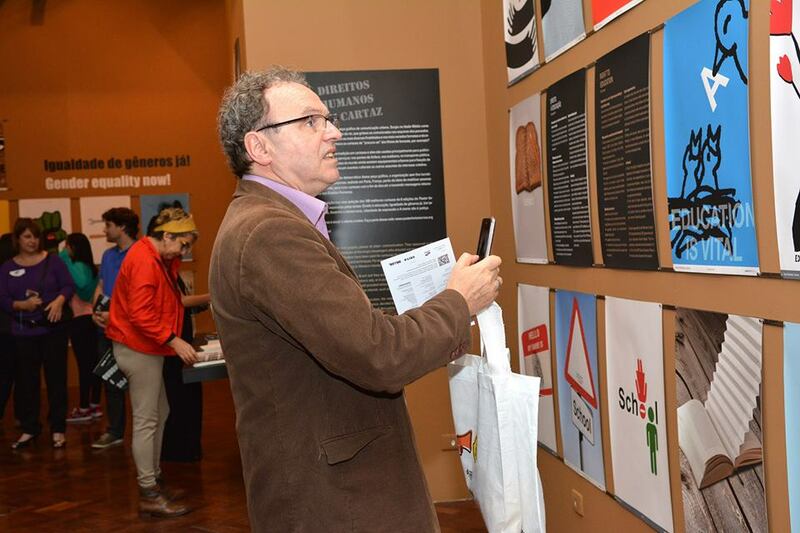 Take a look at Sergio´s posters and more work at his web page. If you would like to submit a poster to be featured on Poster Mondays find all the info you need to participate on our submissions page. 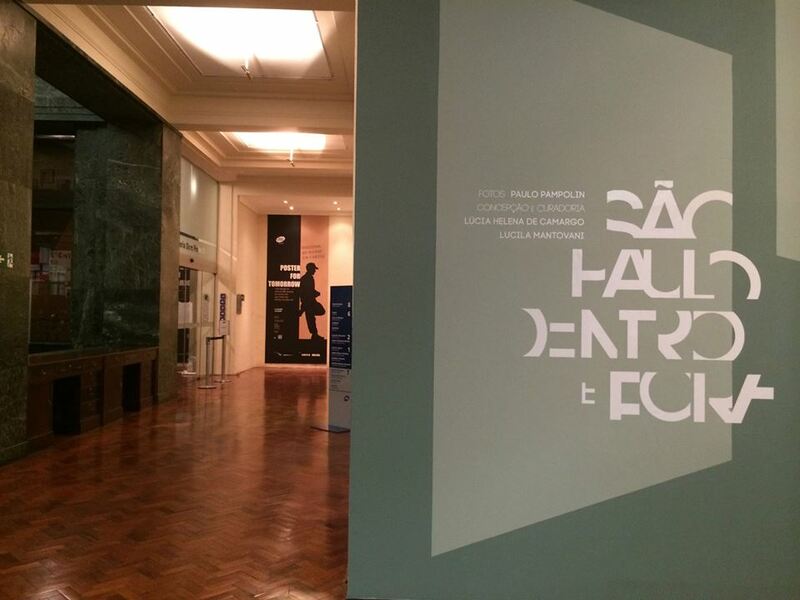 The cultural center SESC Pompéia in Sao Paulo, Brazil, is currently exhibiting the poster designs of Bulgarian-born designer Luba Lukova. 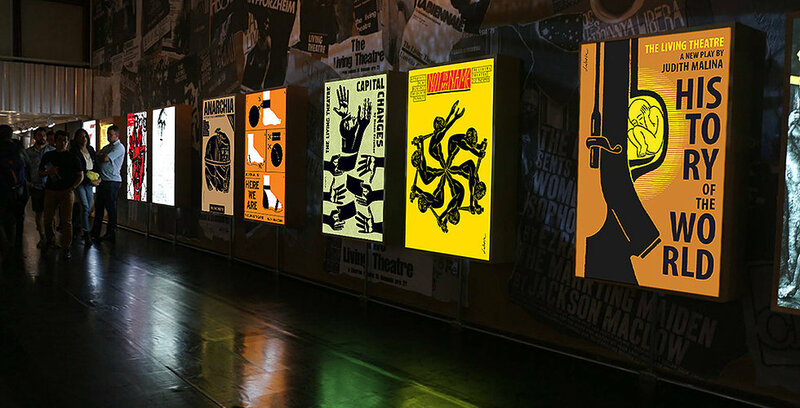 Her current exhibition Luba Lukova: Posters for the Living Theatre in São Paulo, Brazil is a collection of Luba Lukova’s posters created for the legendary Living Theatre. Luba is an internationally recognized designer who is currently living in New York. Luba creates powerful poster designs that are thought-provoking and graphic which reflect the human condition, fundamental fairness and justice. Luba Lukova’s current exhibition can be seen until Jan. 31, 2018. 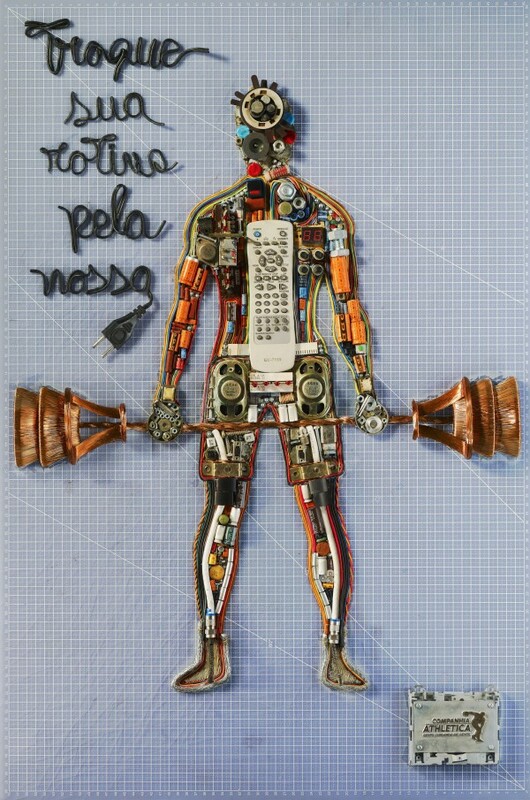 As you may know we love finding posters that use unconventional materials to tell their message, so it’s no surprise that we loved this funny posters by Forma Total Gym in Brazil. 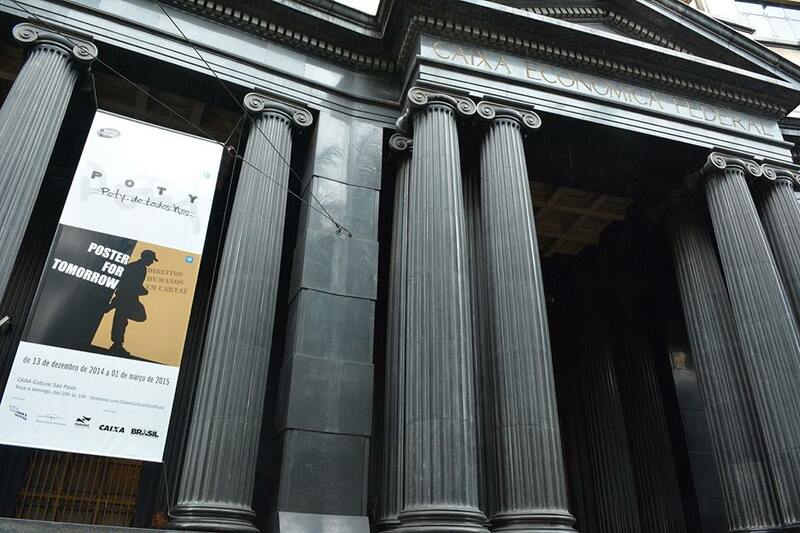 The creative posters are made partially with a moulding compound that allows people to draw on them with their fingers. 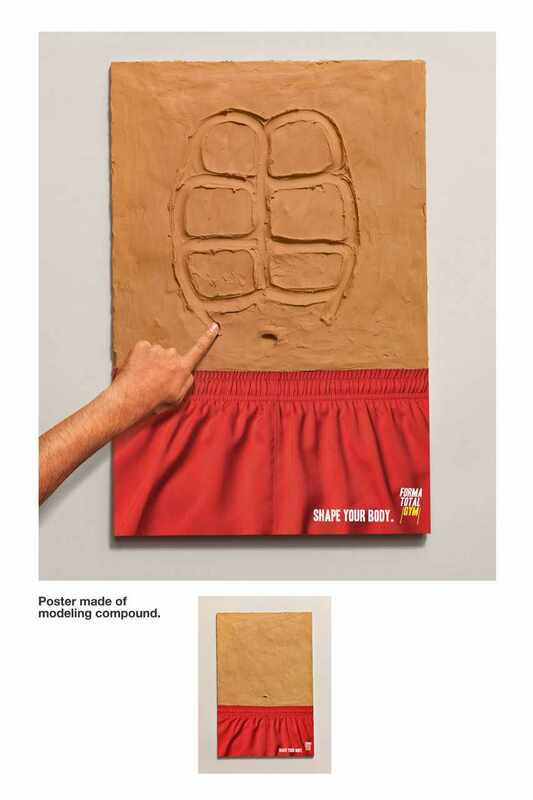 The slogan “Shape your body” perfectly illustrates that by using the gym you can “draw” that six pack you’ve always wanted on your otherwise flabby abs. What do you think about this campaign? 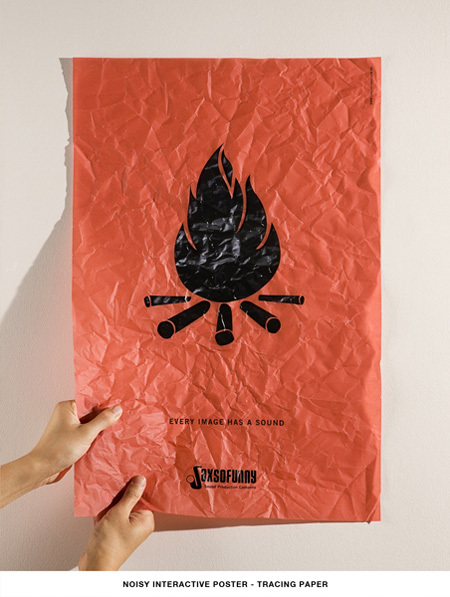 Do you know other interesting posters that use unconventional materials? Share them with us on the comments below! The first Poster Monday spot of the day belongs to Augusto Zambonato from Brazil, for his poster entitled “Blind Faith”. Augusto studied illustration and graphic design at the UFSM (Federal University of Santa Maria) and at SCAD (Savannah College of Art and Design). 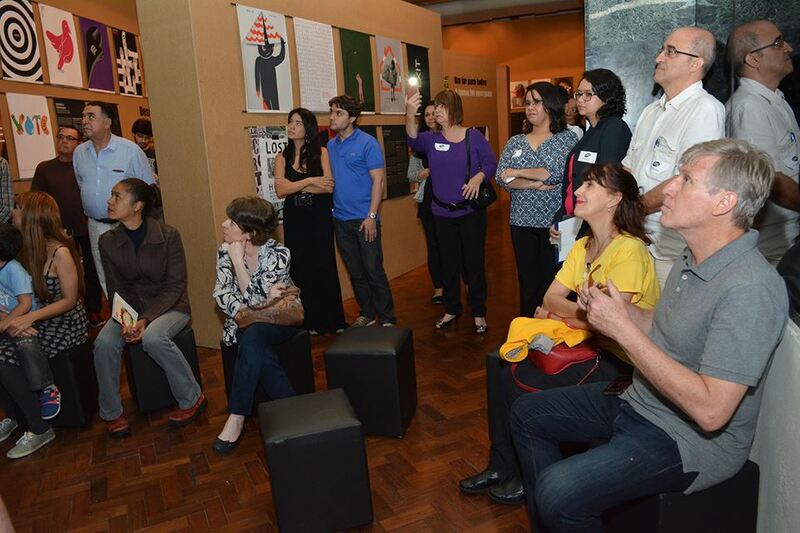 Cubism and northern Brazil woodcuts, also known as “Cordel Literature” have influenced Augusto’s work. The end result yields illustration which explores every aspect of visual communication, transcending all language barriers. 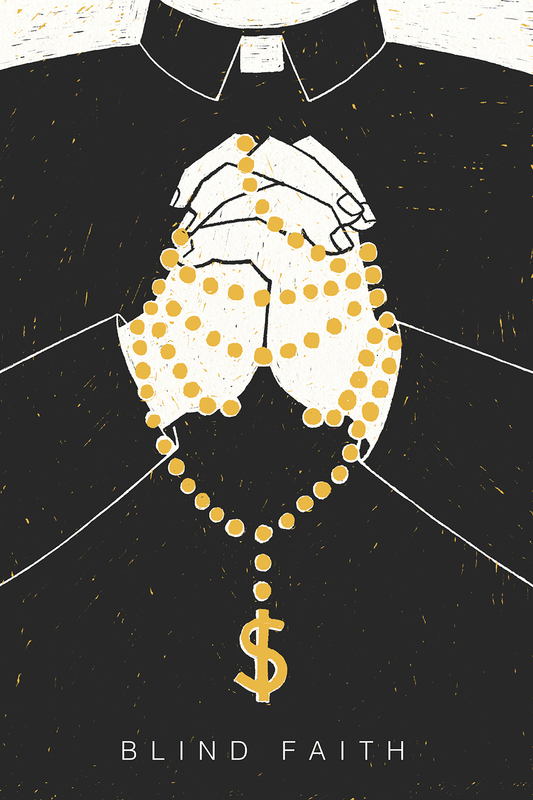 The “Blind Faith” poster depicts the (almost religious) trust and faith most people have in money. 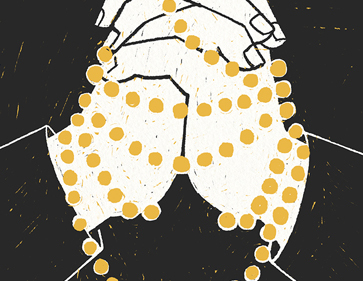 A faith that ties your hands and makes you blind, which Augosto thinks is common both in the US and Brazil, since both places have people that exploit other’s beliefs and religion to gain money as well as people people who have a blind faith in money. If you would like to learn more from Augusto and his work visit his portfolio site and instagram account. Kian is a brazillian luthiery where the sound and personality of a musician in translated into an instrument. Knowing that each instrument they create is unique they decided to use the concept “a sound of your own” to create a new project. 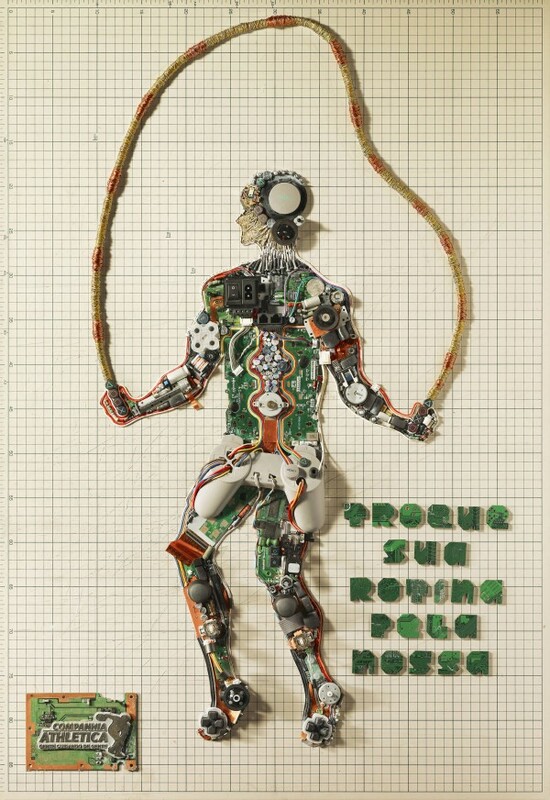 To promote the art of building musical instruments, they chose the same technique used to make guitars to create a poster. “The Guitar Poster” really plays like a guitar, and was crafted using reforestation wood of the highest quality. Check out the video to see the process and the poster in action! 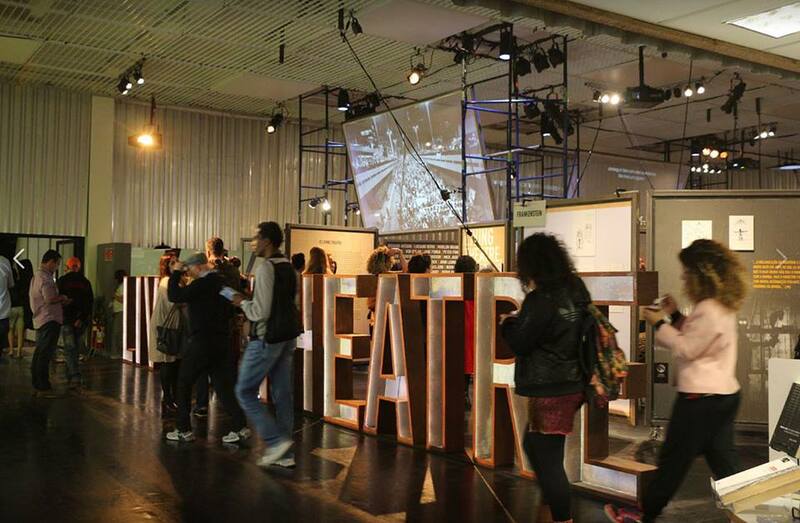 Another creative use of public space! 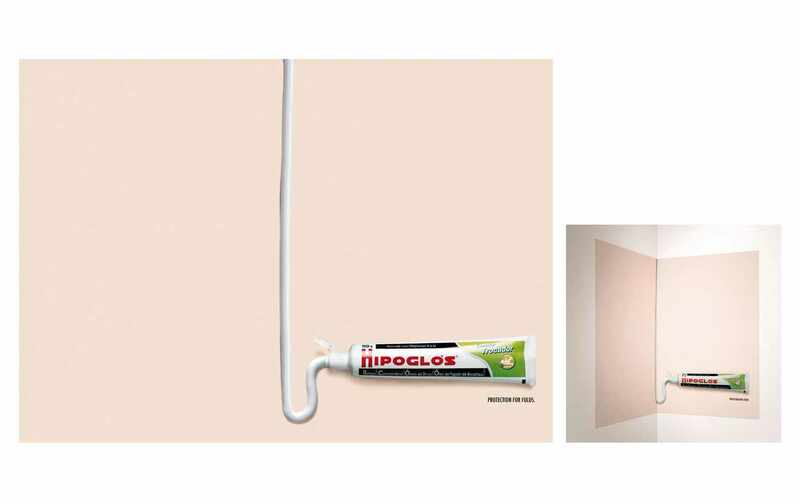 This poster, created by the advertising agency Ponto de Criação in Sao Paulo, Brazil was strategically designed to be placed in corners to communicate its message: that Hipoglos is one of the best options for anyone who wants to protect a baby from diaper rash. We see a layer of Hipoglos, exactly where the poster folds. The tagline concludes: the cream offers more protection for every fold. 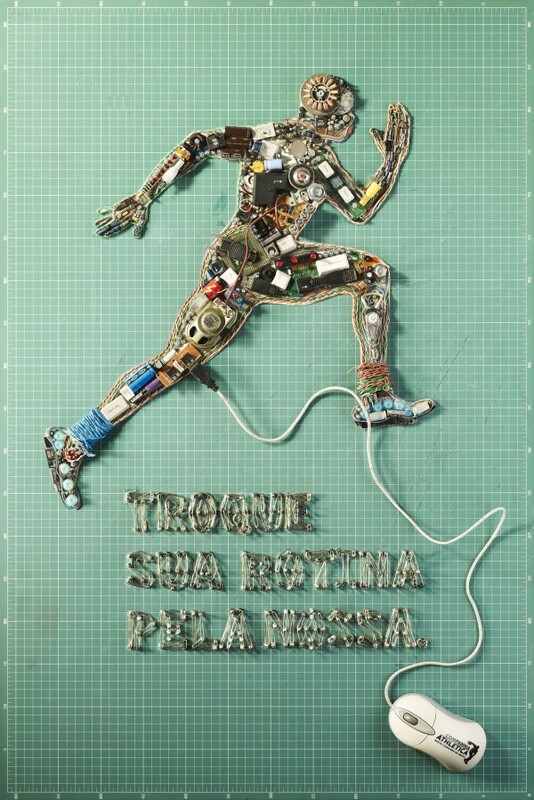 Last year, art director Murilo Melo created this series of creative posters for Companhia Athletica Gyms in Brazil. 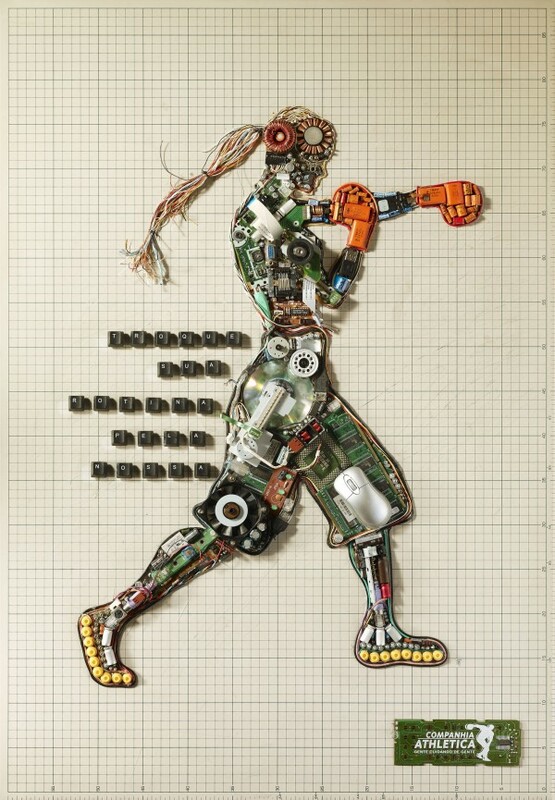 He turned apart old televisions, video games and computers and use all their parts to create images for the camping “switch your routine for ours”. The solution took four months to be presented because, as you can see, the degree of detail in these images are amazing. 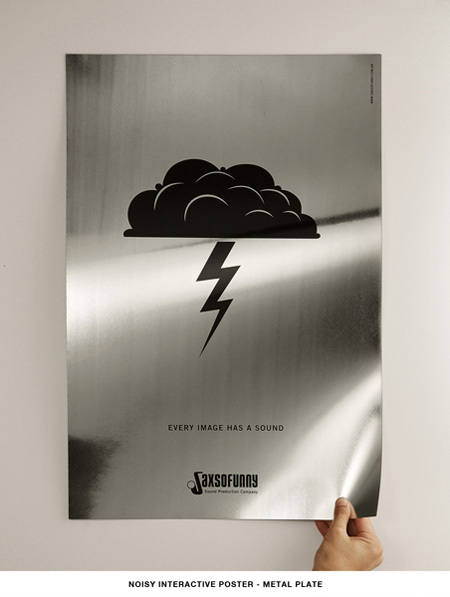 Noisy interactive posters were designed by DM9DDB to promote Saxsofunny, a sound production company from Brazil. 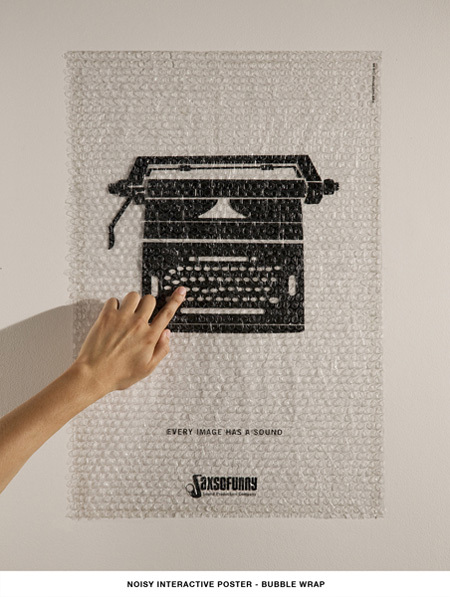 This is an interesting project for us at Poster Poster because generally people consider the poster as a visual medium; however in this case the sound plays an important role to communicate the message of the brand to the viewers. 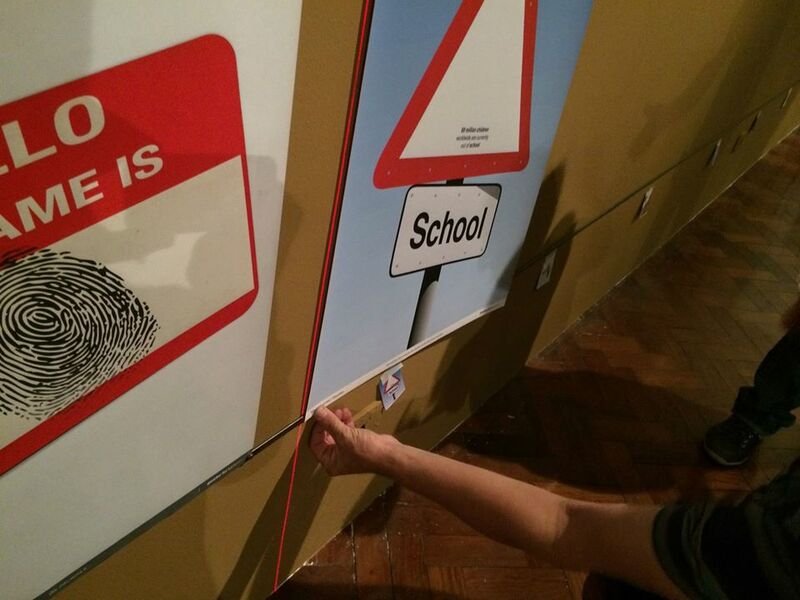 Previously we showed you the interactive poster you can hear and this is another example of how the poster can extend from it’s original format to incorporate new creative approaches. Do you like the posters? What do you think about this type of design? 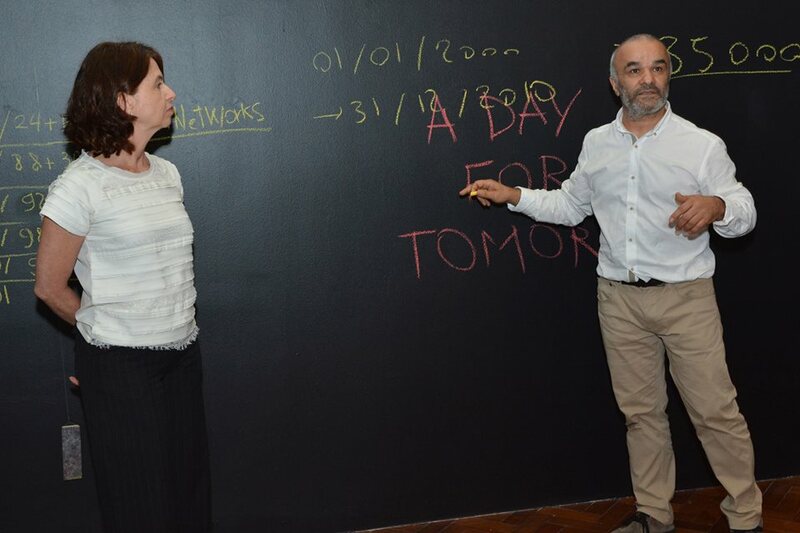 Have you seen other projects using similar communication strategies? Let us know if the comments below!